I’ve started piecing my arcs for the Free-Wheeling Single Girl Sewalong - yes, I played it safe and kept to my Denyse Schmidt stash! I am using freezer paper as a template to make the arcs, a technique that I find really quick and easy. I have had a couple of questions about this on Instagram, so here is a tutorial on my method. Trace the outside line of the ring piecing guide onto the non-shiny side of some freezer paper (don’t bother tracing the seam line). Cut out carefully on the traced line to make your template. 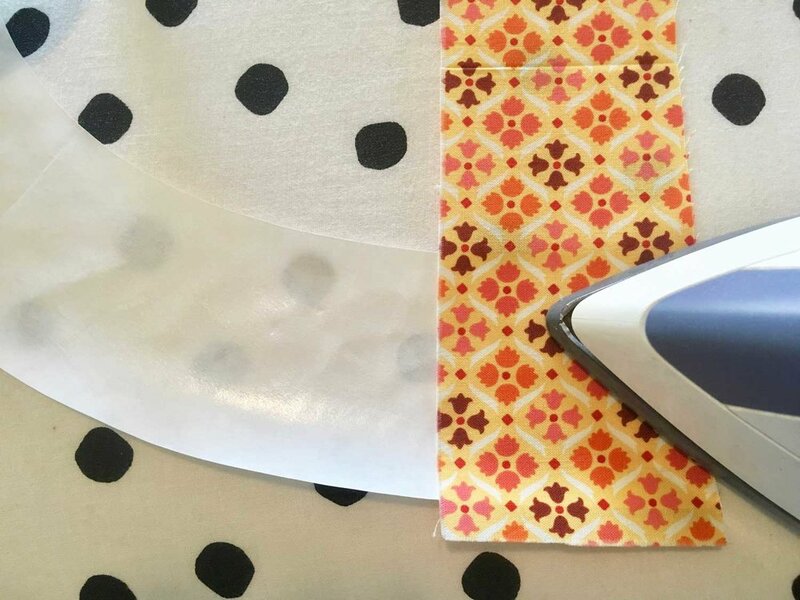 Place the freezer paper template, shiny side up, on your ironing board. Place your first fabric piece at one end of the template, right side up, and press. Press the fabric only, not the paper. The freezer paper is lightly adhesive and temporarily holds the fabric in place. 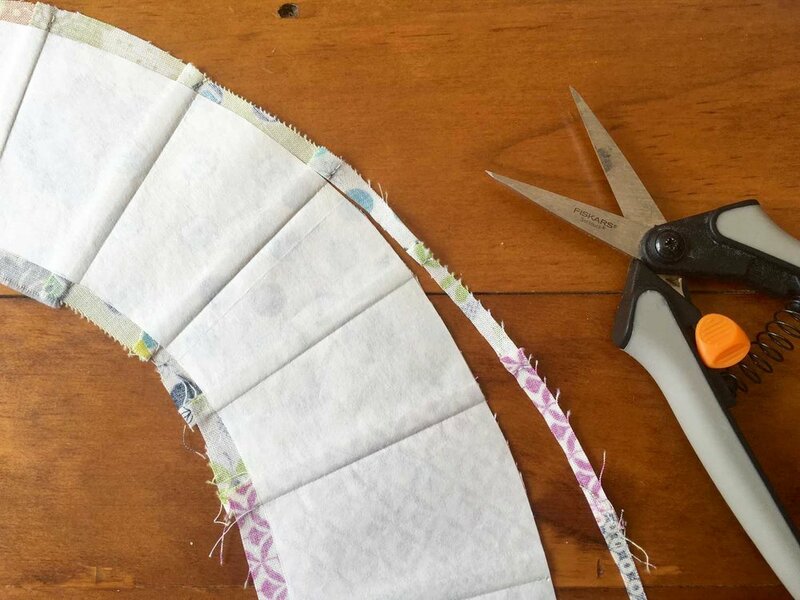 Flip your template over and trim any excess fabric back to roughly 1/8 inch beyond the template . Place the template fabric side down on your cutting mat. Fold the template back on itself until you have a little more that 1/4 inch of fabric visible to the right. Crease the freezer paper firmly. 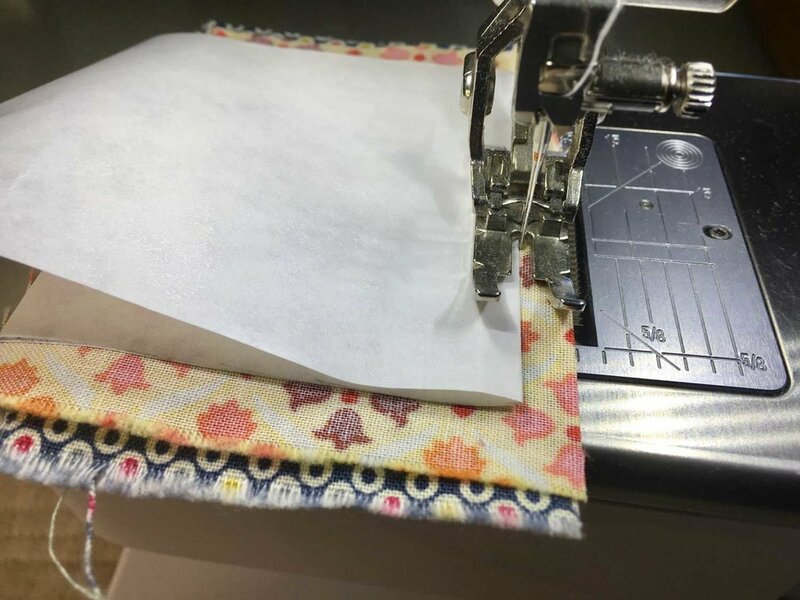 Using a ruler, trim the fabric to 1/4 inch from the folded freezer paper. Place your second fabric piece, right side towards the first fabric. Trim away any excess of the second fabric. Machine stitch the two fabrics together just to the right of the fold line in freezer paper. Your stitching shouldn’t pierce the freezer paper. You are only stitching through the two fabric layers. 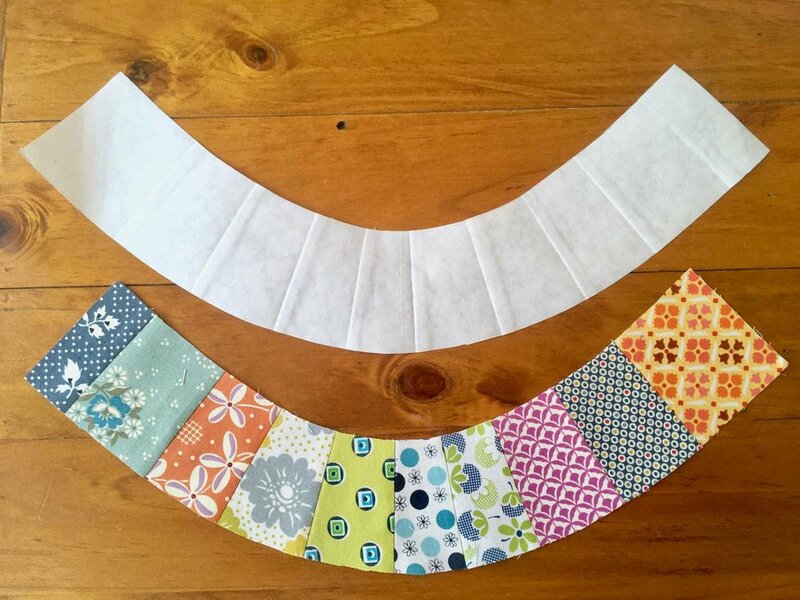 Unfold the template and place fabric side up on your ironing board. 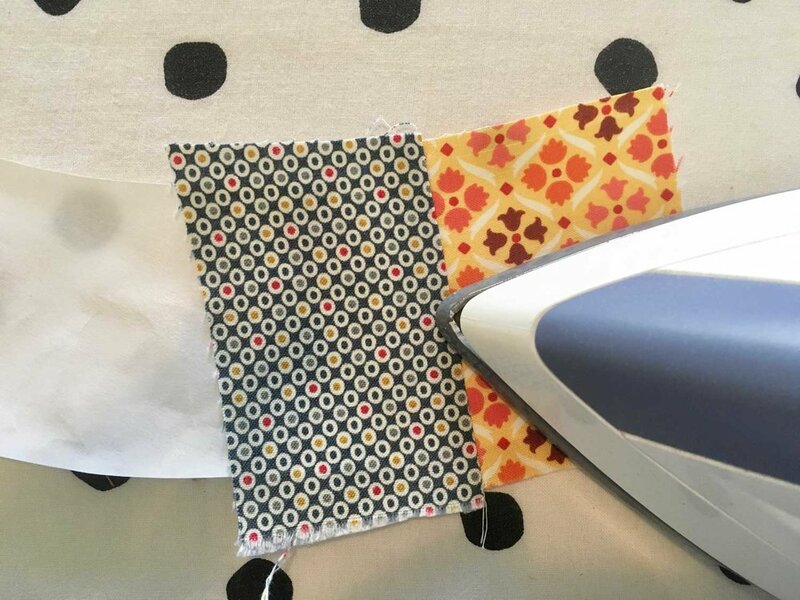 Flip your second fabric piece over onto the shiny side of the freezer paper template and press. Continue this process until your template is entirely covered. Try to vary the width of your fabric pieces to maintain Denye’s improv look. 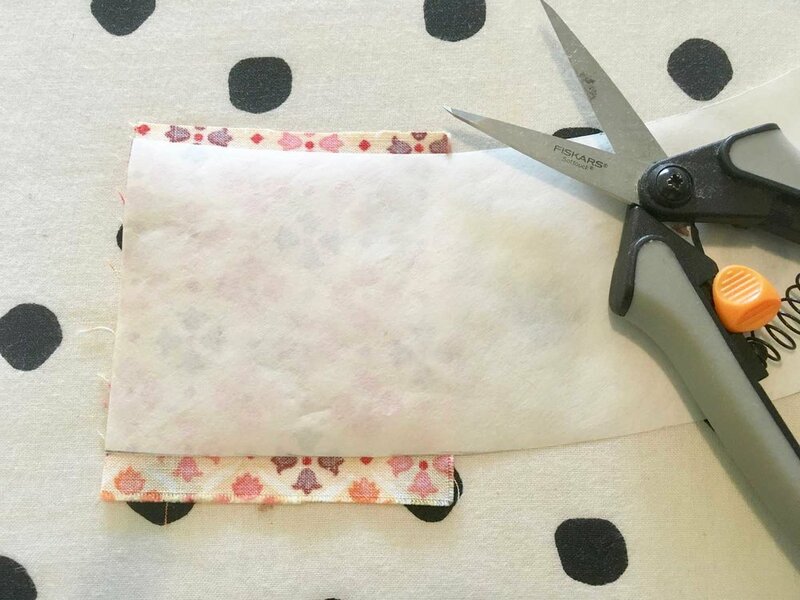 Using scissors or a rotary cutter, trim your work back to the freezer paper template. Now for the satisfying part! 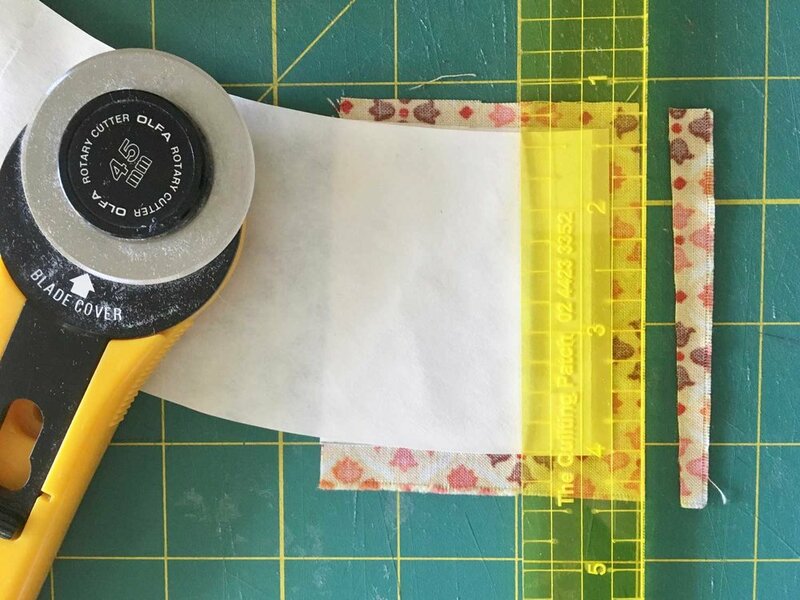 Gently peel the freezer paper template away from your work. You will be left with a perfectly pieced arc, and your original freezer paper template. The freezer paper template can be reused for your next arc. I have made eight arcs using just one freezer paper template. The fold marks in the template are different for each arc, but just fold the paper wherever you need it to. Please don’t be scared off by this tutorial. It really is a very simple process and makes these arcs ever so easy to piece. It also minimises fabric wastage. I’ve put this tutorial together in a hurry, so please ask questions if my instructions are not clear. Have fun!